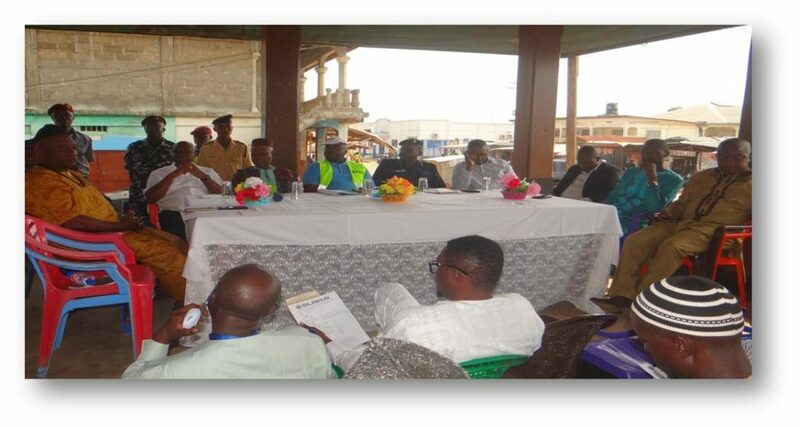 Transport Stakeholders in the Kailahun District have unanimously pledged to fully co-operate with law enforcement Agencies to address issues of lawlessness in the Transport sector in the Kailahun District. This pledge was made on Saturday 30th March 2019 at a well-attended meeting of Stakeholders organized by the Sierra Leone Road Safety Authority in collaboration with the Traffic Division of the Sierra Leone Police. The meeting which was held in the famous Kailahun Court Barray, brought together people from all works of life including; five members of Parliament from the Kailahun District, the Executive Director of the Sierra Leone Road Safety Authority Mr. David Panda-Noah and a cross section of Management, the Director of Traffic and Road Safety of the Sierra Leone Police AIG, Sahr Senesie, Chairman Kailahun District Descendants Association, Retired AIG Morey Lengor, Paramount Chief of Luawa and other traditional leaders and all District functionaries, hundreds of Bike riders and Drivers, School children and teachers. 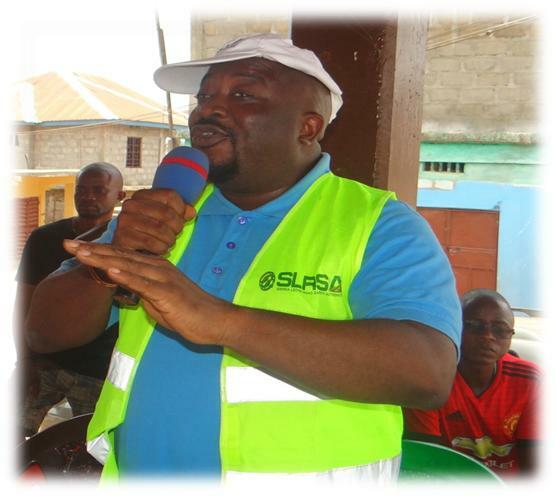 Addressing the gathering, the Executive Director of the SLRSA, Mr. David Panda-Noah, lamented over the high rate of road crash fatalities both in Sierra Leone and the World. He appealed to Bike riders and Drivers to comply with the law by licensing their vehicles and bikes and observe safety standards. The Executive Director pointed out that the Authority was aware of the delay experienced by stakeholders in accessing the Authority’s services in the provinces but pleaded with them to exercise patience. As delay for provincial jobs will soon be a thing of the past as the proposed interconnectivity will address all the challenges of delayance for rural jobs. Mr. Panda-Noah appealed to the people to refrain from going through third party to access the service of the Authority but rather to go directly to the authority as the personnel of the authority are customer friendly. He spoke about the huge potential of the District in terms of its agricultural produce and appealed to the Stakeholders to be law abiding by licensing their bikes and vehicles so that the government can raise more money to develop the country. The Assistant Inspector General of police in charge of Traffic conveyed greetings from the Inspector General of Police Dr. Richard Moigbeh. Mr. Senesie disclosed that since he took over as Head of Traffic, the relationship between the SLRSA and the SLP has improved significantly. The AIG pointed out that the SLP and the SLRSA have conducted series of joint operation since he took over the position of the Traffic Division. He outlined some of the dangers of riding unlicensed motor bikes and also without helmet and called the riders and drivers of Kailahun to rise up to the operation. 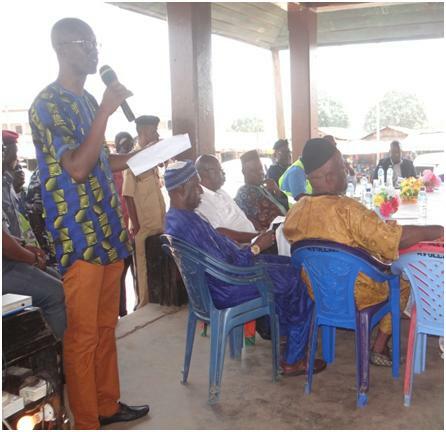 In his remarks, the Chairman of the Kailahun District Descendants Association, Retired Assistant Inspector General of Police; Morey Lengor called for a change of attitude among bike riders and drivers. Speaker after speaker emphasized the need for stakeholders to operate within the confines of the law. Other speakers in the meeting were the Paramount Chief of Luawa, PC Kailondo Banya, Honorable Wuyatta Songa, Honorable Hindolo Gavou, Honorable Satty Banya, Hon Asumana, LUC Kailahun; Mr. M.B. Kamara, Head of ONS, Resident Magistrate Kailahun, SLPP Young Generation Leader, President of the Bike riders Union and the Town Chief Kailahun town. 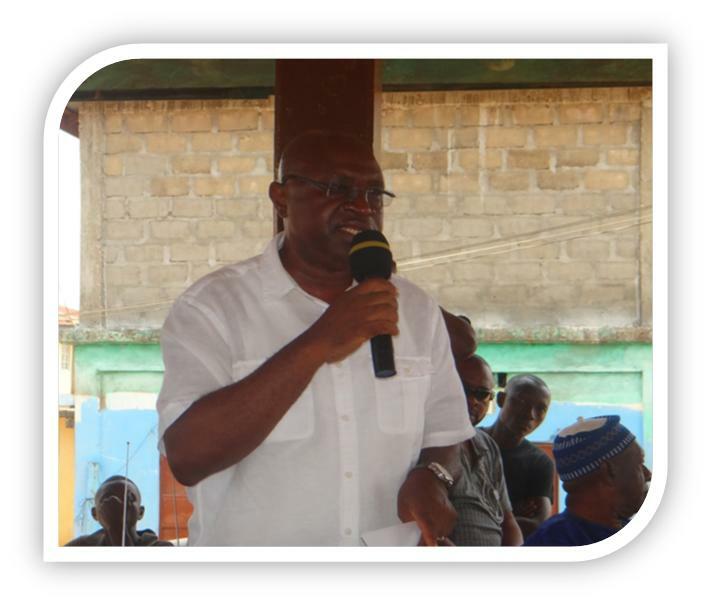 The program was chaired by the Cooperate Affairs Secretary, of the SLRSA Mr. Sama Gamanga. 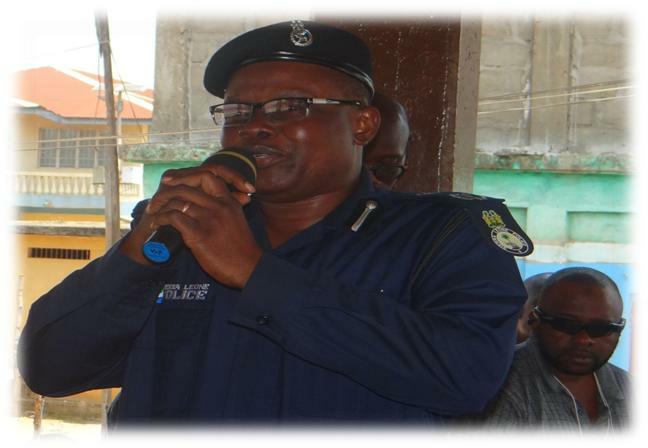 The vote of thanks was moved by Madam Hassanatu Mansaray, Station Manager SLRSA Pademba Road. Since he took over as Executive Director of the SLRSA less than a year ago, Mr. David Panda-Noah has undertaken a lot of reforms that have remarkably improved the image of the authority. This is another positive step to bring the authority closer to its stakeholders. The five members of Parliament who attended the programme assured that they will use their influence to positive change the road safety situation in Kailahun.